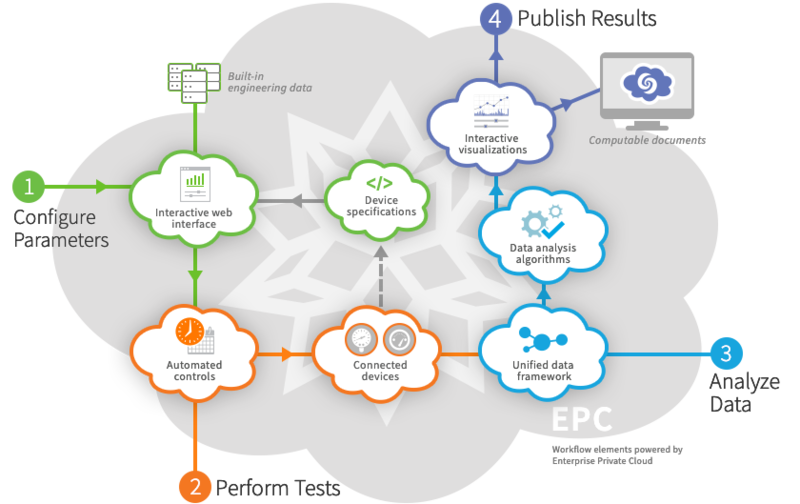 Using unified symbolic representation to combine external and built-in data sources, computational models and automated cyber-physical controls in a centralized cloud framework, a materials manufacturer can reengineer its quality testing process with a streamlined remote interface, immediately accessible to R&D teams across the enterprise. 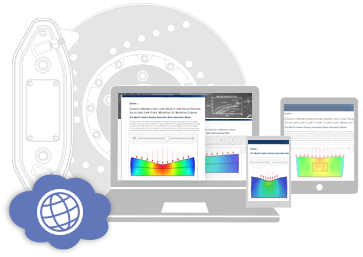 A form-based web interface combines data, methods, instruments and materials into a single platform, allowing researchers to interactively tune testing procedures. Represent everything symbolically: Bring code, data and real-world objects together within a unified symbolic framework. Your data or ours, ready to use: Use high-level semantics to combine configuration databases and documents with built-in scientific and engineering knowledge for immediate computation. 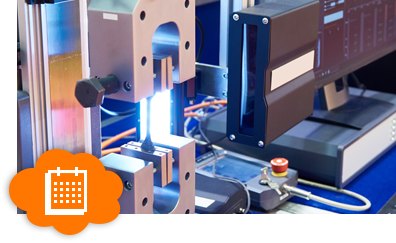 Once designed and submitted, tests are carried out via automated cyber-physical control systems, delivering reliable and reproducible data. Curated device framework: Seamlessly interact with sensors, machines and other equipment across your enterprise, setting up incoming data for computation. 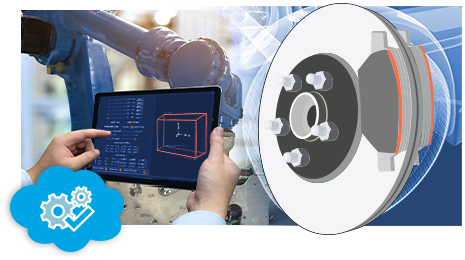 Centralized process automation: Streamline testing tasks using a centralized cloud infrastructure to automate device control and data collection. Researchers have immediate access to their experimental data from anywhere, along with a host of integrated tools for scientific analysis and visualization. 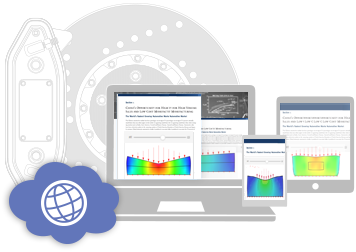 Web-based data processing with world-class algorithms: Perform high-level analysis using optimized algorithms for fast, accurate results—all accessible from a standard web browser. 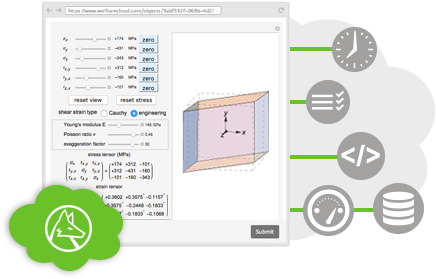 High-level visualizations, immediate interaction: Showcase data and models using high-quality 2D and 3D visualizations, with simple controls for changing parameters on the fly. Test results and analyses can be easily shared with investors, colleagues, clients and vendors in a variety of formats and with custom permissions. Private or public—you control access: Securely distribute documents internally or publish to the web using standard authentication protocols for full control over who has access. All your export options in one system: Share your results using hundreds of image, data and document formats, or deploy as a computable document for immediate interactivity from standard web browsers.